Renowned Utah photographer Craig Law will have his work “The Art in Rock Art” displayed in College of Eastern Utah’s Gallery East from Jan. 29 through March 5. From Utah State University in Logan, Law is a project photographer who is well known and highly respected. A professor of art (photography), he served as chair of the USU Art Department from 1996 to 2001. He has won numerous awards and honors and his work is in numerous private and public collections, including the Utah Museum of Fine Arts and the Utah State Collection. He is represented by Phillips Gallery in Salt Lake City. 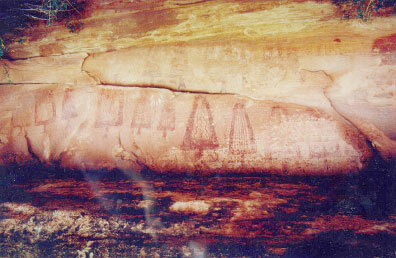 “Utah is fortunate to have many world-class prehistoric rock art sites. Our panels are a significant part of the cultural heritage of Utah and North America. And yet they are virtually unprotected. Many sites have been seriously compromised by vandalism and much of their information lost forever. Some are suffering from the effects of aging and weathering. Other panels, especially those easily accessible, are in danger of further degradation. At this rate of deterioration, many of us fear our grand ­children will never have the opportunity to experience many of these marvelous works of art, Law writes. Alarmed by the deterioration of Utah’s prehistoric rock art and understanding that there was no effort to record the totality of what was left of the Barrier Canyon-style rock art, the BCS PROJECT was formed by David Sucec and Law. They began documentation in 1991 (a non-profit since 1992) and as of September 2001, the PROJECT has photographed 212 sites with BCS images. The objectives of the BCS PROJECT documentation project are to record all Barrier Canyon-style rock art images, with large-format cameras for the maximum clarity and detail; produce archival photographic prints (gelatin-silver and ultra-stable color processes) for optimum viewing and study; to create a complete inventory of the documented sites; and to generate a scholarly description and analysis of the style’s imagery. The 24 Gallery East photographs by Law were selected to represent the hundred he has taken for the project since its inception in 1991. The complete documentation (without specific locations of sites) will be housed in the Special Collections Division of the Marriott Library, University of Utah as a record and resource for scholars/interested public in the study of the Barrier Canyon style and Utah prehistoric rock art. An opening reception will be Friday, Feb. 6, from 7– 9 p.m. in Gallery East. It is free and open to the public. Gallery East’s hours are Monday and Wednesday from 11 a.m.-5 p.m., Tuesday and Thursday from 9 a.m.-5 p.m. and Friday from 9 a.m.-2 p.m.